Download & Install PES 2016 ISO PSP For Android: Updated JAN 2017!!! This PES 2016 ISO PSP for Android has been around for a while now and I bet you must be missing a lot not playing or having it installed on your device. It's available for all to be downloaded, played and enjoyed for free on Android phones. 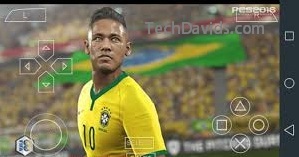 So if you are tired of the older pes 2014 iso or the immediate 2015 version, get on this ride let's get you the latest version in the world of soccer. The PSP game cloned for Android devices features a lot of changes from the previous versions and I bet you will enjoy it. Although its not that large in size, (less than 600mb). ==>Some Club Jersey have been updated from 2015 to 2016. ==>Fix Jersey number of BPL ( Barclays Premier League ) invisible. ==>And many more including the latest addition of skill players, etc. Pls, If you are having issues with the links, it's as a result of too many downloads. Leading to the game removal by the hosting site. So I will advise you to download our latest working Pes 2017 apk uploaded a while ago. =>2. Download and Install PPSSPP Gold from any of the links provided above. ==>3. 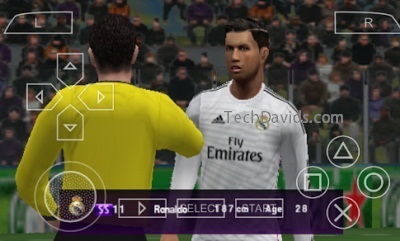 Move PES2016.iso that you downloaded to your Android SDCard/PSP/GAME folder. ==>4. Now open the PPSSPP Gold that you installed earlier and click on find Games. 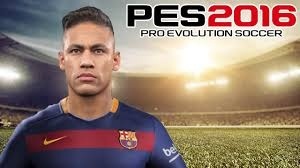 Tap PES2016 and enjoy. That's all. You can now start Playing the game. Will update you guys later on how to pair and play it with friends on two different phones.